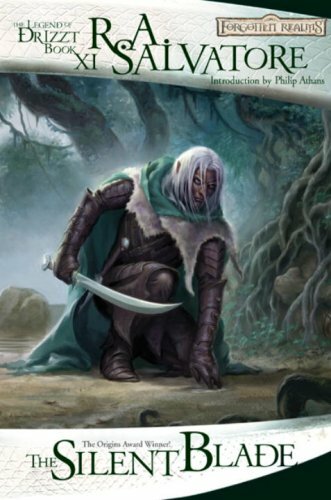 When the vile Crystal Shard once again reveals itself, Drizzt must race against his most formidable enemies in hopes of destroying it before it finds the one being that can help it enslave the world: a dark elf named Jarlaxle. Winner of the Origins Award for best game-related novel of 1998, The Silent Blade marked the return of Drizzt to the wind-swept tundra of the Forgotten Realms world. This deluxe reissue features a new Todd Lockwood cover and an introduction from The New York Times best-selling author Philip Athans, who has served as Salvatore's editor for almost a decade, starting with the original release of this book.